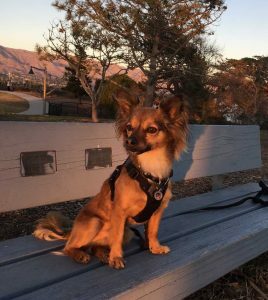 Ringo watching the sunset at Shoreline Park – a favorite walking place! This is my city. This is my dog. I’m participating in Rover.com’s Tail of 20 Cities, celebrating our inquisitive (and oh-so-photogenic) canine Ringo Starr, along with our beautiful city, Santa Barbara, California. But wait, there’s more! Rover.com has recruited 19 other photographers from around the world. You can check out all of the photographs on their Tail of Twenty Cities Photo Journey web page. We chose this photo of Ringo taking a sunset-watching break at Shoreline park because it is one of our favorite places to walk, romp, meet friends, and relax. Want to get into the lights-camera-action? You too can join the fun by posting your own pic of your pooch, repping your city with the hashtag #RoverCities!